"What is broken can be reforged!" "It must come to pass." "For those who were lost." "To serve the greater good." "The time for talk is over." "My spirit is not lost!" "A sword mirrors its owner." "A broken blade is more than enough for the likes of you!" (Sighs) "I knew I should have sprung for the blade warranty." "This is why I spend so much time sheath shopping." Yasuo: "We are not meant for perfection, angel." 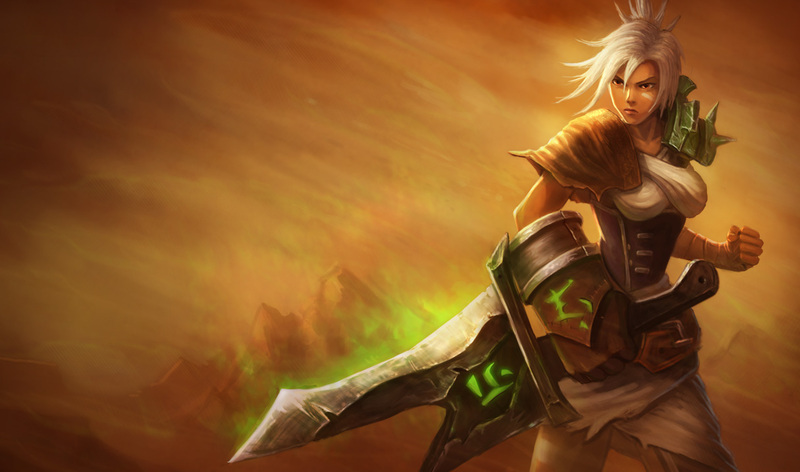 Riven: "I will live. You will kneel." Yasuo: "No. You will break."